We want all our trainees to succeed. And we want as many suitable people as possible to have the opportunities that a career in the pharmaceutical industry brings. 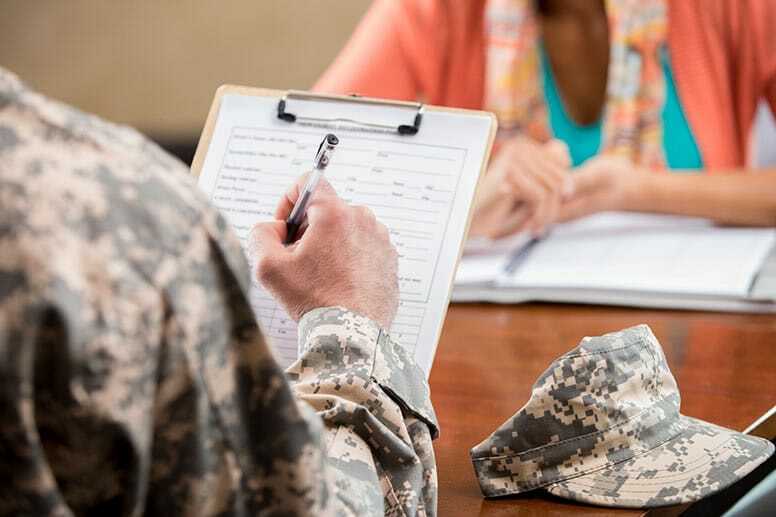 For this reason, we’ve worked hard to make our program as affordable as possible for veterans and military personnel (as well as their spouse and child) who are starting to consider their transition to a civilian career. Successful completion of this course is also required to qualify for our $5000 Military scholarship. Take this quiz and find out if you qualify. If you qualify for this scholarship, your total course fees will be $11,999. You can pay this upfront before you start or you can pay in monthly installments, at no extra cost. We’ll work with you to figure out a payment plan you can afford. There are no hidden costs with our courses. The price you see listed is the price you pay. We’re also not going to try to sell you any loans. We believe in making our program affordable to help you avoid student debt. In fact, we recommend you take a pay as you go approach so you can finish the program without any debt and if you live in an area that qualifies for our job offer guarantee program and don’t get a job offer, your tuition fees will be reimbursed. Jobs in the pharmaceutical and medical device manufacturing industry pay well. Entry-level jobs that don’t require a degree or science background still pay well (and often come with a range of valuable additional benefits). This means that you could earn your total course fees back in your first 4 monthly paychecks. And it won’t be all that long before you can start applying for these jobs. You’ll be “job ready” (i.e. you could start applications) just 4-months into your academic program. Since the online course is delivered part-time – you can secure your new job, begin work and continue your studies while you’re earning. You cannot use your GI Bill funding for this program. But, even if you could, we would probably recommend that you didn’t. Studying an online program reduces the amount you can claim for the housing portion of the funding. We’d suggest you keep your funding for a more costly graduate programme delivered at a campus. We’re working hard to make our courses affordable to military personnel without having to use your funding. Here is a quote from the website “Task&Purpose” on the 4 Big Mistakes Vets Make with their GI Bill. “For students on their G.I. Bill who take all of their classes online, their monthly housing allowance is equal to half the national average of the BAH for an E-5 with dependents, or just over $700 per month. Even if you went to school in one of the locations with the lowest housing rates in the country — Owensboro, Kentucky, or Alpena, Michigan; for instance — you’d receive more than $1,000 in monthly housing allowance, substantially more than the online rate. “1/ You’ll be missing a lot of the financial incentives that come along with the G.I. Bill. When a vet uses the G.I. Bill on active duty, he or she is ineligible for the relocation allowance and the basic allowance for housing that comes with the G.I. Bill benefits. In using your G.I. Bill on active duty, you’re lessening its value by tens of thousands of dollars. In addition to our $5000 scholarship for military personnel, veterans and their families (spouse and child), we offer a money back job offer guarantee. To qualify, you must live within 50 miles of the Philadelphia to New Jersey pharmaceutical manufacturing corridor or be willing to actively job hunt there and relocate there for a job. You also have to successfully complete both your academic program and your structured job hunting tasks. If you meet all those criteria and you don’t manage to get a job offer, we’ll give you all of your tuition fees back. Now we know that might sound too good to be true and you might be looking for “the catch”. So we’ll try to be as clear as possible… If you pay us $11,999 for a course, you meet all the criteria outlined above and in the T&C’s and you don’t get a job offer, you’ll get your $11,999 back. You’ll either have a job offer or you get your tuition fees back. It’s that simple. We told you we’ve tried to make our program affordable to veterans and military personnel and their spouses and children, and we meant it. You’ll be completely sure about online learning and the industry before you have to commit any money. We offer a $5000 scholarship for military personnel and veterans. Jobs pay well and you can be “job ready” just 4-months into your academic program. We’re so confident in you and the program that we offer a money back job guarantee. We’d be delighted to talk to you about your particular circumstances and answer any questions you might have. If you click here and fill in your details, the person who would actually be your course advisor, will give you a ring and chat through your options.